This is primarily used for data sensing, and not intended for continuous data-rate applications such as streaming audio or video. This enables new-use cases like beacons and sensors that have low-bandwidth periodic and sporodic data points. This also brings lower power to some use cases such as human interface devices (keyboard and mouse) input that is sporadic in nature, greatly increasing battery life for those devices. Bluetooth 4.x+ Devices will support Bluetooth Classic (aka BR/EDR) and/or Bluetooth Low Energy. Be away they may not support both and if you have a device that supports 'only' BLE it will not be able to use audio streaming such as the A2DP profile as support for BR/EDR is required for that. OpenWrt 16.02 Ventana btusb/hciuart/bnep/rfcomm Fixed in commit ??? NOTE: Bluez5 is not properly configured in Gateworks OpenWrt 16.02. The Personal Area Network Device Profile (PAN) allows encapsulating IP over bluetooth using the Bluetooth Network Encapsulation Protocol (BNEP). The kernel bnep module (CONFIG_BT_BNEP) is responsible for registering a bnep<n> network interface when requested by the Bluetooth daemon. You do not need to use pairing for PAN connections. Once a PAN connection is active and you have a bnep<n> interface you can use standard networking tools to configure and/or bridge the interface. Generic Attribute Profile (GATT) is used for Bluetooth Low Energy communication. This for a dedicated connection between two devices after GAP has already been completed. A BLE peripheral can only be connected to on central device at a time. The specific handle (denoting the GATT service and characteristic) and its values were determined by enabling HCI logging on an Android device while using the MagicHue? Android app then viewing the log in Wireshark to see what values were being changed. This 'reverse engineering' technique is fairly common and widely described on the Internet. 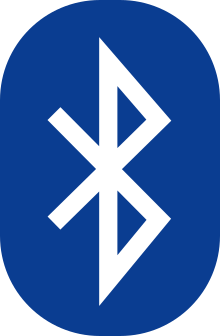 Bluetooth uses a process called bonding where a bond is generated through a process called pairing. Pairing is triggered either by a specific request or triggered automatically when connecting to a service for the first time. There is usually some form of user interaction to confirm the identify of the devices but once pairing is complete a bond will have been formed between the two devices, enabling them to connect to each other in the future without requiring the pairing process again. If desired the bonding relationship can later be removed by the user which would force a pairing to be completed again. Firmware: all *.dfu files in ​https://git.kernel.org/pub/scm/linux/kernel/git/firmware/linux-firmware.git/tree/ar3k should be copied to /lib/firmware/ar3k/ or /lib/firmware/4.11.0-14-generic/ar3k/ if using Xenial.